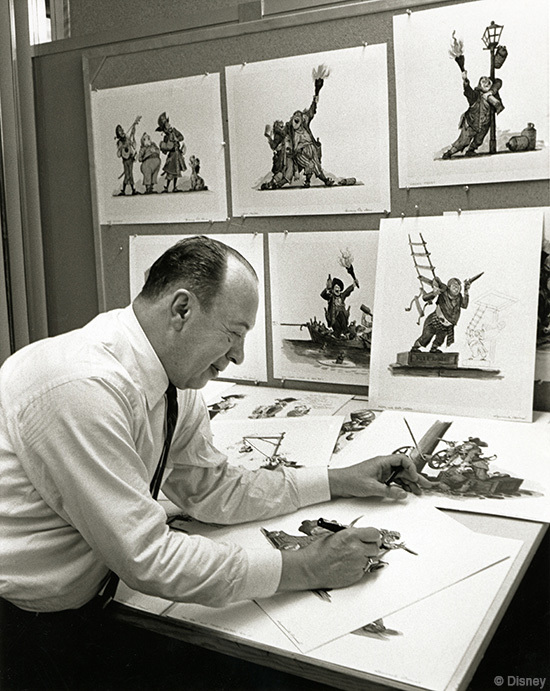 Disney Legend Marc Davis busy at work drawing. Hello everyone, and welcome to a special series here at My Dreams of Disney. Over the next few weeks, we are going to spend a little time and take a look back at some of the great Disney Legends that Disney has produced. It is a special person who becomes a Disney Legend, and in my mind, there is no better person to start with than one of Walt’s Nine Old Men himself, Marc Davis. Those of you that are truly into the history that Disney has will know his name, and probably know more about him than I know! However, if you haven’t heard of him before, that’s okay, because we’ll highlight some of his accomplishments during the course of his extraordinary career at Disney. Marc Davis was hired as an apprentice animator for Snow White and the Seven Dwarfs. He progressed through the ranks and worked on character design and other duties for Bambi and Victory Through Air Power. However, his biggest accomplishments in the animation arena came when he was the person behind some of the greatest woman in Disney lore — Cruella De Vil from 101 Dalmatians, Maleficent from Sleeping Beauty, and Tinker Bell from Peter Pan. Marc Davis was the last of the famed group of Disney employees dubbed the “Nine Old Men” by Walt Disney himself to be hired at Disney, but in my opinion, his accomplishments stand up to any. The term “Nine Old Men” was a play on words by Walt Disney as a reference to President Franklin D. Roosevelt and his Supreme Court. The funny thing about this was that all of the Disney “Nine Old Men” were only in their 20s when they started working with the company! Marc Davis worked for Disney for 43 years, retiring from active work in 1978 — although he did help with the development of EPCOT and Tokyo Disneyland. 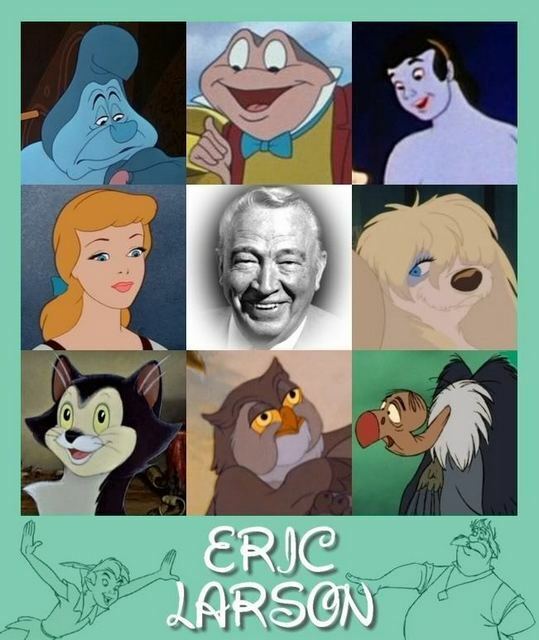 Ironically, yesterday was the 24 anniversary of his induction (along with the rest of the Nine Old Men) as a Disney Legend. Marc Davis passed away on January 12, 2000, at the age of 86. Having seen much of his work up close, it is our opinion that some of the great attractions that Marc Davis worked on would not be the same if he hadn’t contributed to them, so My Dreams of Disney salutes him. Next up on our list of Disney Legends: Ward Kimball, another of Disney’s Nine Old Men. 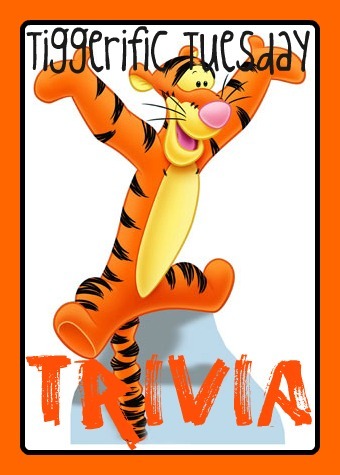 Hello everyone, and welcome to another edition of Tiggerific Tuesday Trivia, the Disney Trivia hope that I am pleased to participate in with Jodi from Magical Mouse Schoolhouse, Heidi from Heidi’s Head, and Jenn from Disney Babies Blog! 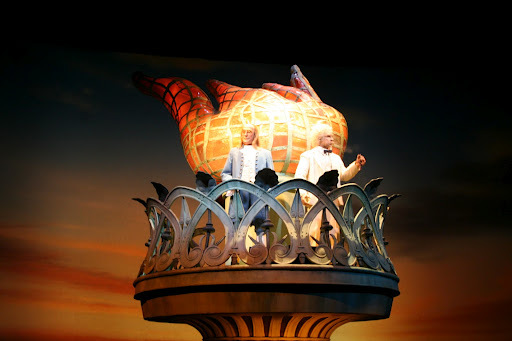 Theodore Roosevelt and Franklin D. Roosevelt are the only Presidents represented by Audio-Animatronics figures during their terms as President. Theodore Roosevelt is seen speaking with naturalist John Muir about the beauty of America and its destruction due to industries such as logging. Franklin D. Roosevelt is depicted giving his famous “The only thing we have to fear is fear itself” speech in 1929. George Washington and Thomas Jefferson are also depicted, but during times in their lives before they became President. As a follow-up, Did You Know — that the scene in the American Adventure Show with George Washington was the scene at Valley Forge during the Revolutionary War? That wraps up my edition of Tiggerific Tuesday Trivia for this week! Make sure you check out the rest of the entries by clicking on the links below! Do you have any Disney Trivia to share, and a blog also? If so, why not write it up and link your post to the rest of the ones you see here? Thanks for stopping by, have a great day!